Finally, the wait is over. 3x NBA Champ, 2x MVP, the one and only Stephen Curry is coming to Manila, Philippines on September 7, 2018! Want to see him LIVE? 2. 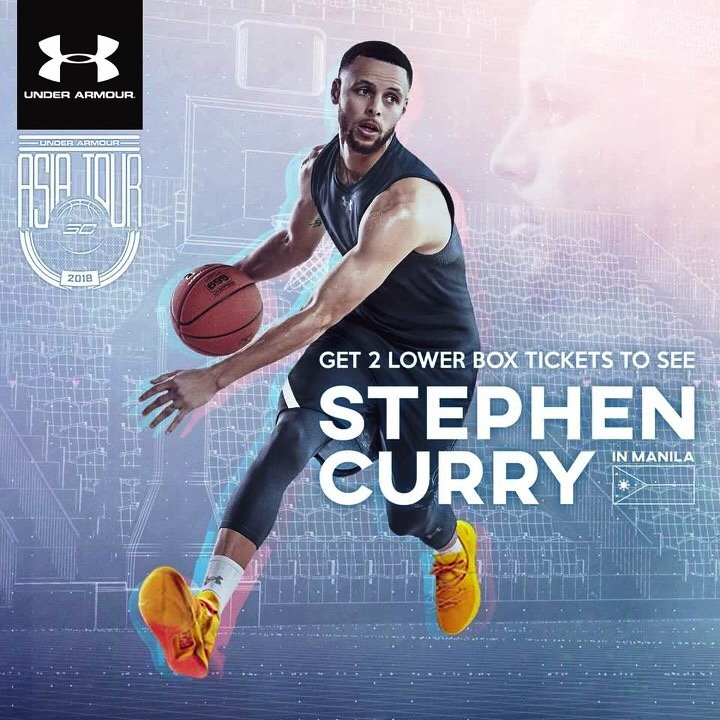 Get 2 UPPER BOX Tickets when you purchase Php5,000 worth of items at the select Under Armour stores and other participating outlets. Cycling national champions Jermyn Prado, Ismael Grospe, Jeremy Maraña, and Aidan Mendoza are all set to see action in Prudential RideLondon 2018, the world’s largest cycling festival, over the weekend of 28-29 July 2018 in the capital of the United Kingdom. 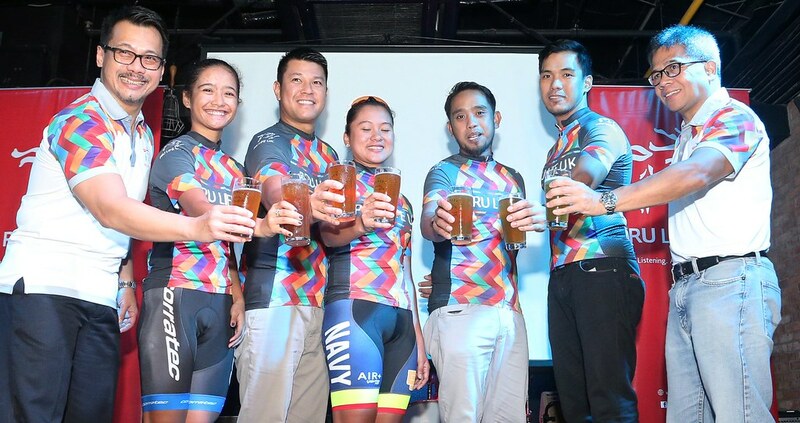 They, together with other winners from the local cycling event PRUride PH 2018 which took place earlier this year and Pru Life UK’s employee representative, will form the eight-strong official delegation to represent the country. Backed annually since 2013 by Pru Life UK’s parent company as the title sponsor, British financial services giant Prudential plc, Prudential RideLondon is expected to see more than 100,000 participants cycling more than three million miles in seven different events. Headlining the delegation is Prado, who was named double-gold national champion for winning both of PRUride PH 2018’s Philippine National Road Race Championships Women’s Elite and Criterium Women’s Elite. She will be representing the country in the Prudential RideLondon-Surrey 100-mile event. Meanwhile, Grospe, who participated in last year’s Prudential RideLondon as a rising 18-year-old cyclist, is making a return this year, but now as a national champion for Philippine National Road Race Championships Men’s Elite U-23. He will join the Prudential RideLondon-Surrey 46-mile event. Rounding out the lineup are Maraña and Mendoza who are national champions for Individual Time Trial Women’s U-23 and Criterium Men’s U-23, respectively. Brompton Challenge winner Jun Minagawa is also with the group to represent the country in the exciting Brompton World Championship. Pru Life UK employee and cycling hobbyist Ryan Lamayo will join other employees from Prudential’s business units in Asia to ride the Surrey 100-mile event. Also with the delegation are PRUride PH 2018 raffle winners John Kenneth Cruz and Bertrand Tepltixky. “We are proud that aside from having our largest delegation from the Philippines to date – with eight strong and highly competitive cyclists ready to overcome the challenges of the long ride – they are the Filipinos’ champions in advocating cycling as a way of life,” said Allan Tumbaga, Pru Life UK’s Senior Vice President and Chief Marketing Officer, during the send-off celebration on July 19. “Prudential RideLondon banners cycling across London to encourage healthier and more active travel, and this is what Pru Life UK wants to emulate here in the Philippines. We hope to help raise awareness on cycling as an alternative mode of transportation so we can all work towards having a healthy, safe and environment-friendly community for generations to come,” he continued. 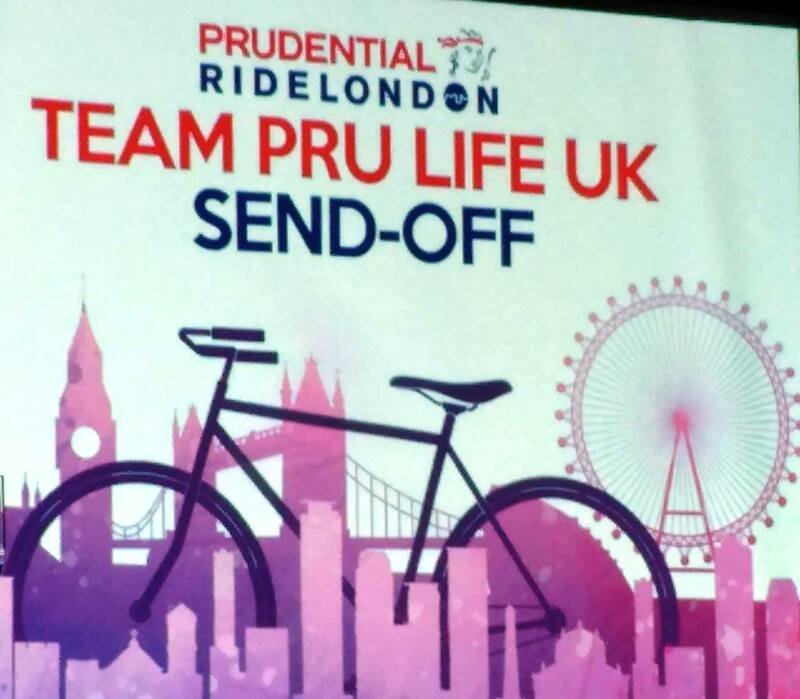 This is the third year that Pru Life UK will be sending an official delegation to the Prudential RideLondon. The Company has been advocating cycling since its maiden cycling event in 2016. It eventually became the country’s largest cycling festival as PRUride PH 2018 where over 2,000 participants saw action over the two-weekend festivities in January this year. 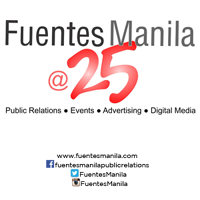 The delegation will fly to London via the Philippine Airlines, Pru Life UK’s official airline partner. 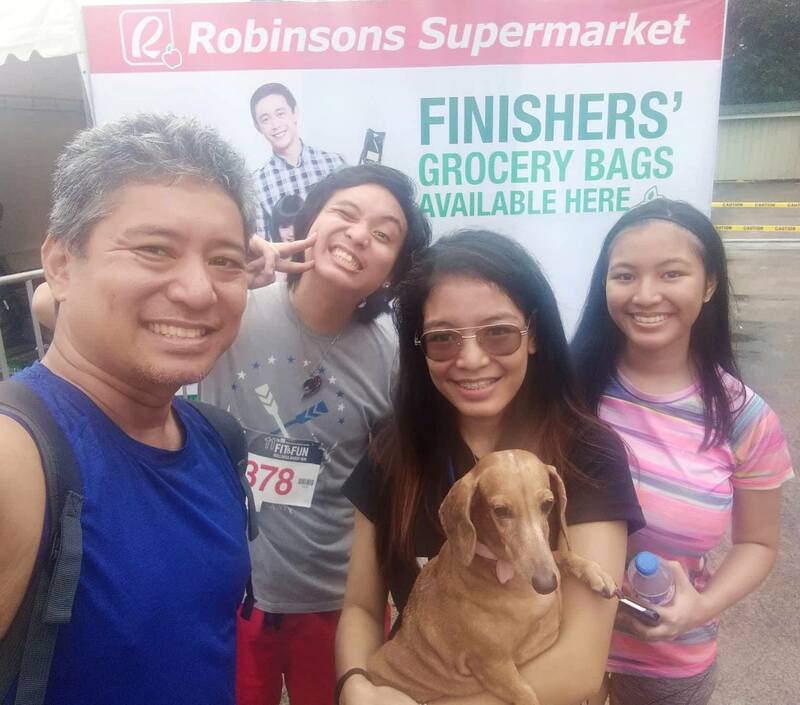 Presented by Robinsons Supermarket, the 11th Fit & Fun Wellness Buddy Run 5K race offered a top prize of a trip for 2 to Siargao with 3 days/2 nights hotel accommodation while 2nd and 3rd placers get Php8,000 worth of Robinsons gift certificates. For 10K race podium finishers, the top prize includes a trip for 2 to Hong Kong with 3 days/2 nights hotel accommodation while 2nd and 3rd placers get Php15,000 worth of Robinsons gift certificates. June 30th, 2018, sixteen teams, finalists from the previous Qualifiers (Manila A, Manila B, Last Chance), went head-to-head at the Red Bull Reign Finals at Taft Food by the Court in Pasay City. Phenom emerged as the tournament winners and earned the chance to represent the Philippines at the Red Bull Reign World Finals. 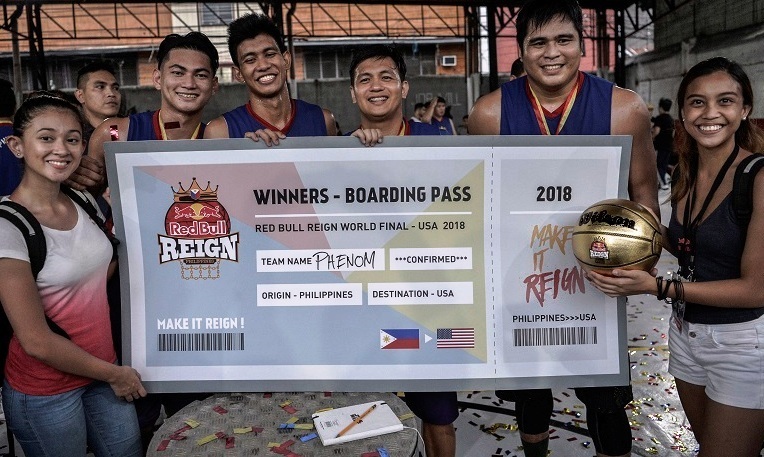 Red Bull Reign is a high-endurance, offense-driven 3×3 basketball tournament that gathers the world’s top ballers to battle it out for the chance to compete at the World Finals in Washington, DC, USA. The rules are simple: the team that scores the most overall points in each round will advance until only one team remains. Despite delays due to the weather throughout the day, Phenom and LGU later advanced to the finals with a score of 46-to-50. Both teams collided on the court but Phenom would emerge as the Philippine Champions, at a score of 10-to-06. 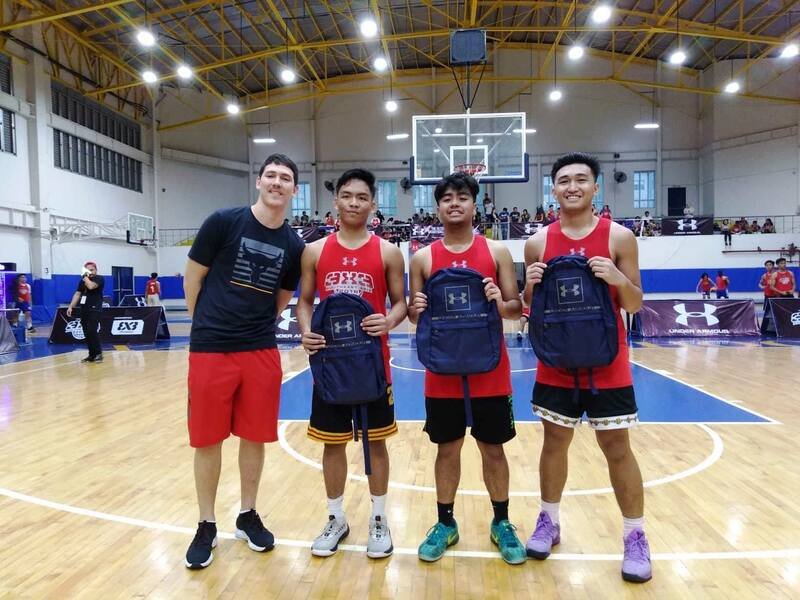 The winning team included team captain, Carl Kenneth Sumalacan, Jarrold Flores, John Rom Alvarado, and John Jordan Sta. Ana.